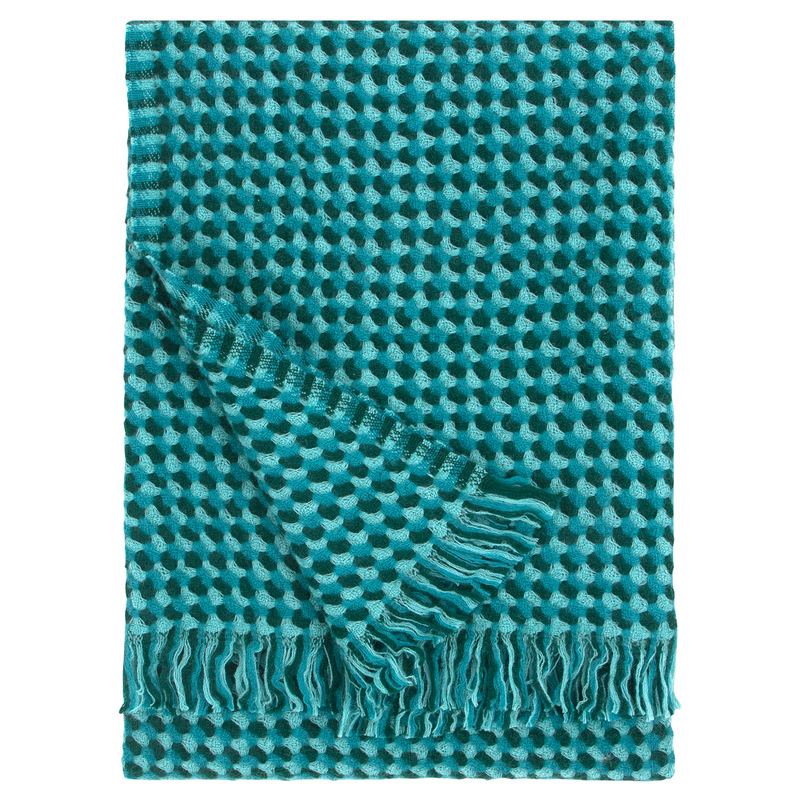 More about Lapuan Kankurit Alva Petrol Wool Blanket This blue-green color is even more beautiful in person. Wrap yourself in luxuriously soft and warm wool during the cold winter months. 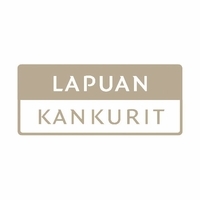 with the Lapuan Kankurit Alva Blanket. It's a seamless addition to your winter collection and is perfect for curling up with a good book or staying warm by the fire. 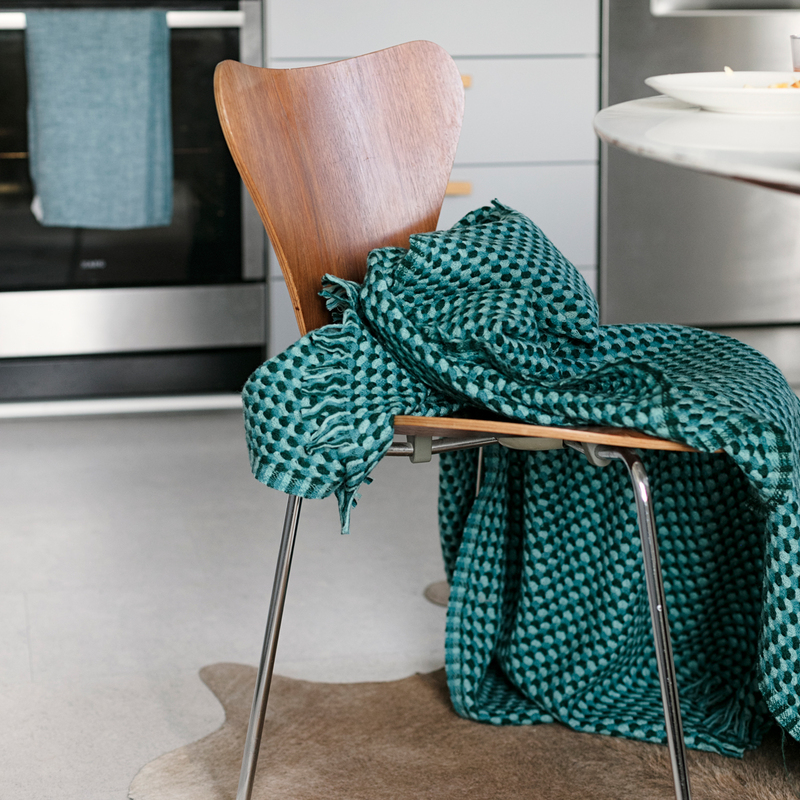 When not in use, drape the blanket over your sofa, bed or chair, and the woven pattern will bring a cozy feel to the room. Care: Hand wash. See tag for washing instructions. Beautiful colors in a modern pattern. 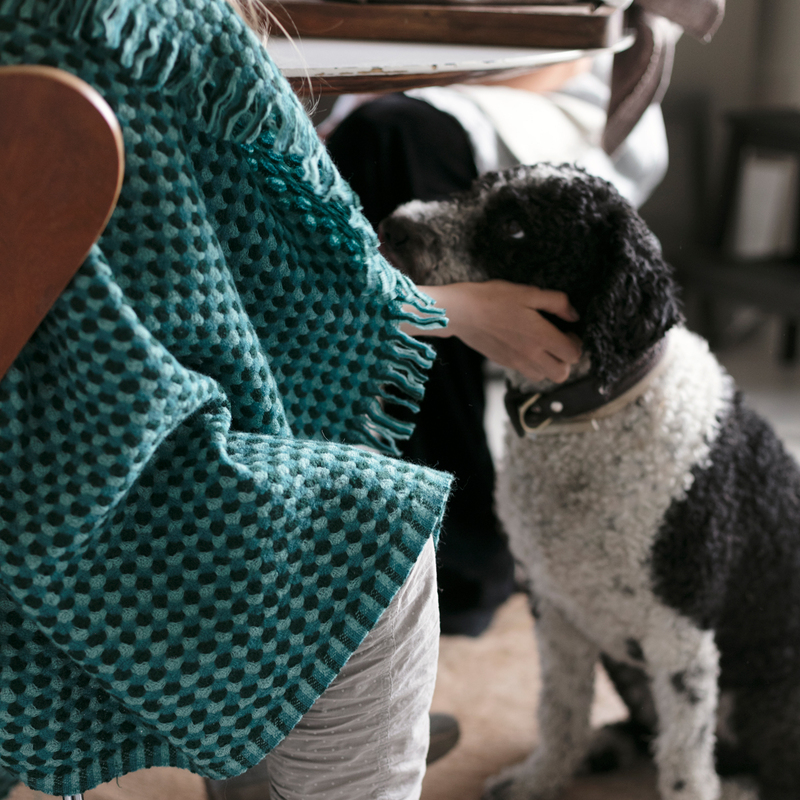 A lighter weight wool, soft to touch. 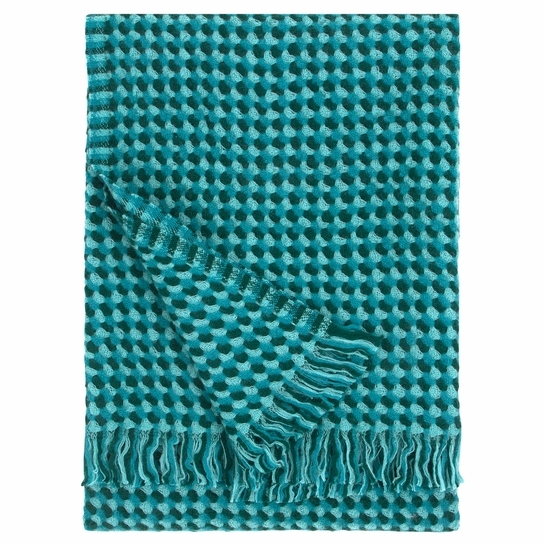 This throw gives a nice warm feel for a chilly room.....extremely pleased with this item!